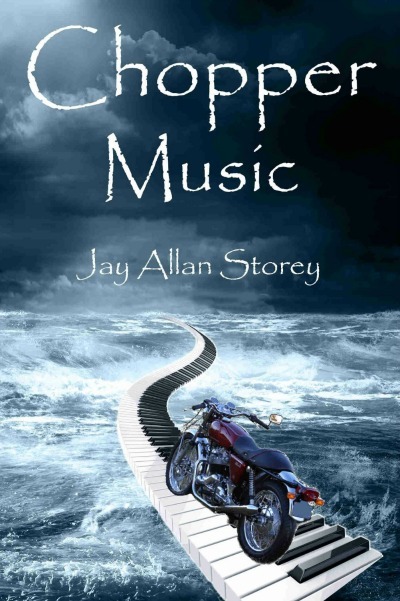 Jay Allan Storey was born in Victoria, BC, Canada. At the age of 19 he spent a year and a half traveling overland from London, England to Australia, passing through many places in the news today, including Iraq, Iran, Afghanistan, and the Swat valley in Pakistan. Returning to Canada he worked at an amazing variety of jobs, from cab driver to land surveyor to accordion salesman, eventually settling down as a software developer for the web. He finally set aside his technical background to concentrate on writing and music. 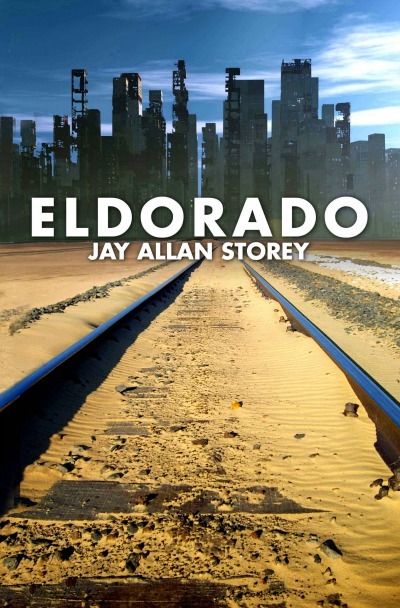 He is the author of one novel, ELDORADO, one novella, CHOPPER MUSIC, and a number of short stories. He is currently working on a second novel, a second novella, and several smaller projects. His stories always skirt close to the edge of believability (but hopefully never cross over). He is attracted to characters who are able to break out of their stereotypes (as Jackson Reilly does in CHOPPER MUSIC) and transform themselves. He loves both reading and writing, and both listening to and playing music. He also enjoys cycling, traveling to exotic lands, and working with animals. He's crazy for any sport activity relating to the water, including swimming, surfing, wind-surfing, snorkeling, and scuba diving. In an energy-starved future, Richard Hampton's world is blown apart when his younger brother Danny disappears and the police are too busy trying to keep a lid on a hungry, overcrowded city to search for him. Richard has to make the transformation from bookish nerd to street-smart warrior to survive when he jumps the 'Food Train' for the disintegrating suburbs in a desperate search for Danny and his dog, Zonk. Branded a criminal by a community of outcasts and condemned to death, Richard is rescued by streetwise Carrie, who joins in his search. As they trek across the remnants of the suburbia, facing criminal gangs, renegade militias, and the hardships of the road, their friendship evolves into something more. The trail finally unwinds at a deserted complex in the remotest corner of the sprawling suburbs. The incredible secret they uncover there will alter their lives and their world forever. Nightclub bouncer Jackson Reilly's life is a decadent blur of drinking, carousing with his biker buddies, and riding his aging Norton 850 Commando motorcycle, but his world was once profoundly different. A mysterious incident when he was thirteen shattered that world, and he's been at war with society ever since. His mother's sudden death forces him to re-connect with his past, and with his aging Auntie Jo, who once played piano in the rough and tumble of the fifties' jazz scene. Reluctantly at first, then with the fervor of a man obsessed, Jackson chases after the life he left behind so many years ago, jeopardizing his job and turning his back on his friends. The upheaval threatens to destroy him, as he's forced to confront the incident that drove him to abandon all that he once loved. Auntie Jo finally makes him see that what he's really been battling for all those years is his own destiny. After a lifetime in darkness Jackson learns the meaning of 'follow your bliss', but has the lesson come too late?